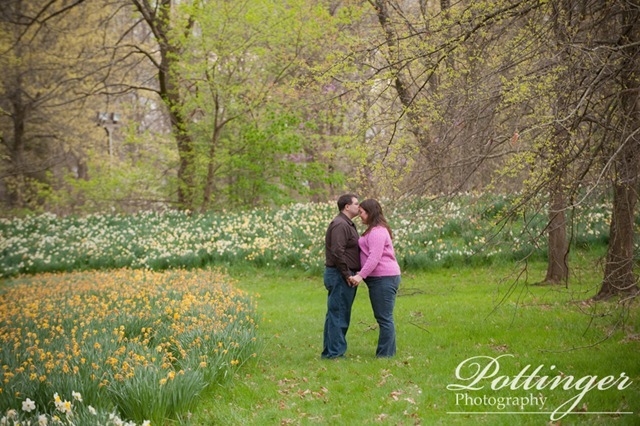 Spring is always such a beautiful time of year. 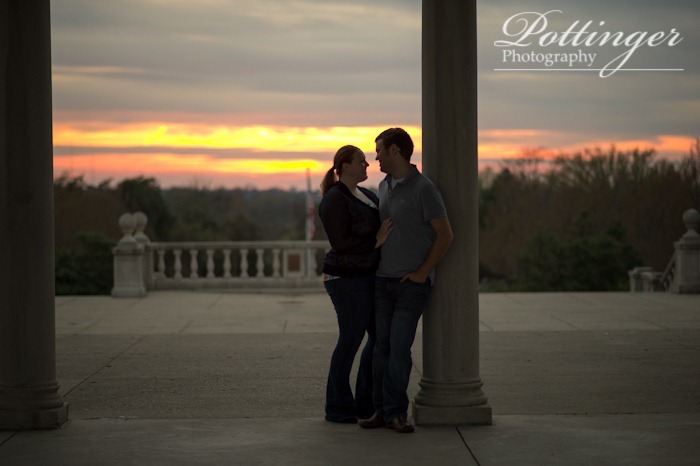 So when Jessica and Bill picked Ault Park I just knew we would be in for an inspiring setting! 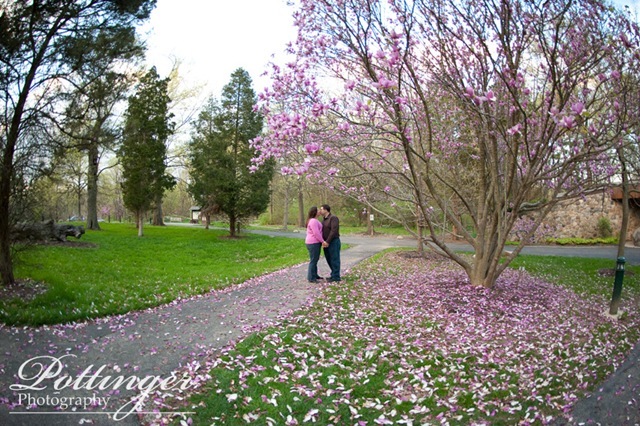 It was perfect weather that night and the trees were in full bloom. 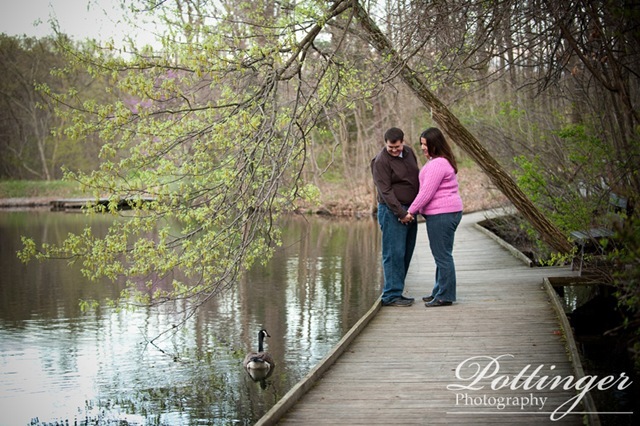 This couple is always so much to be around. 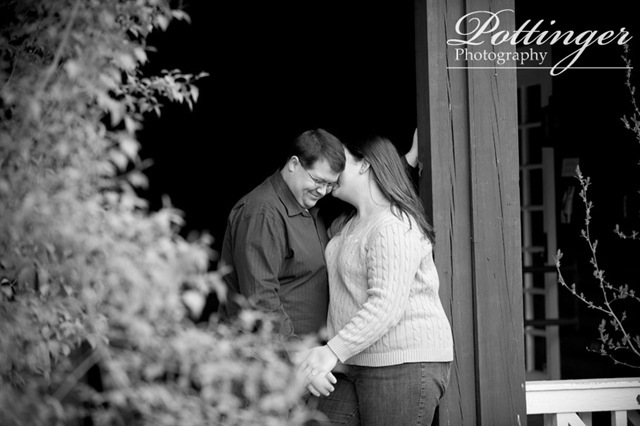 You can tell that they love to laugh together. They made their session such a joy for me! 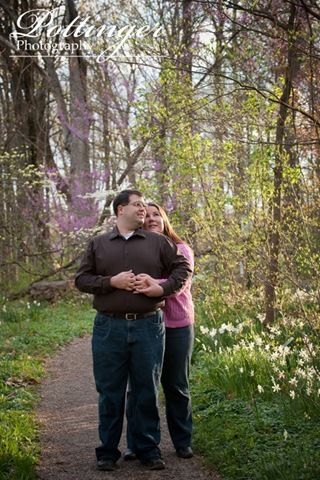 I can’t wait for their fall wedding. 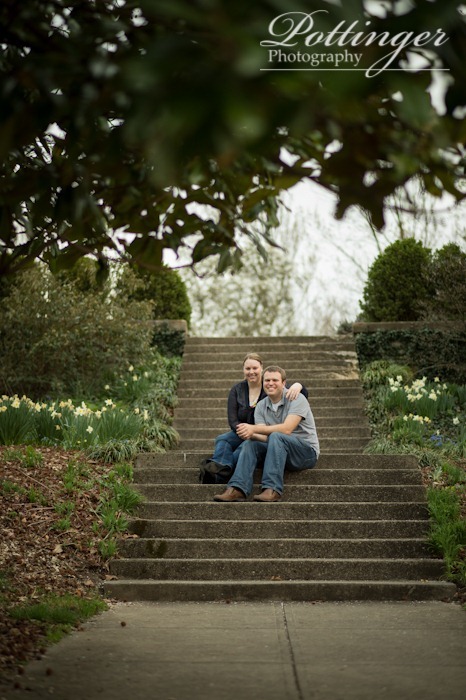 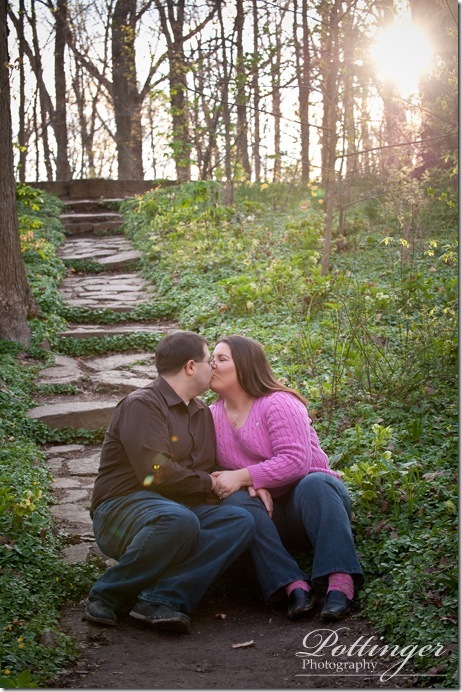 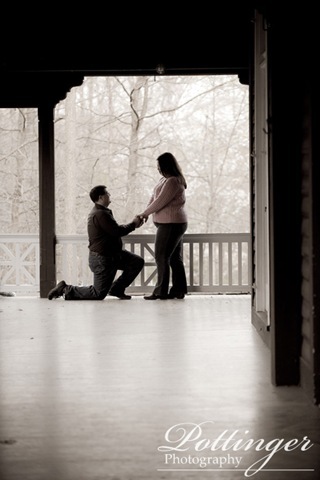 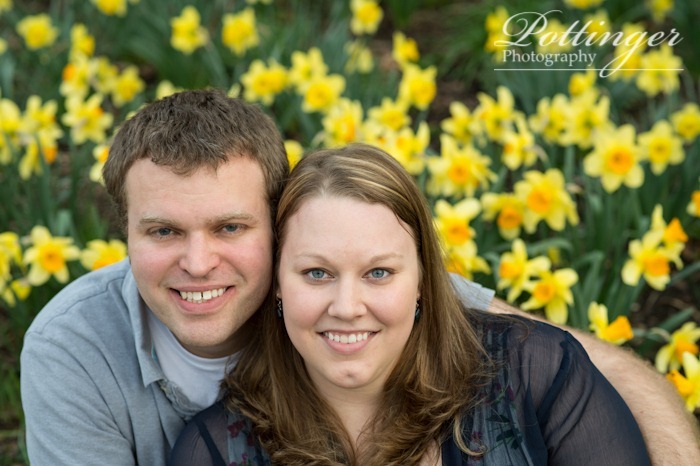 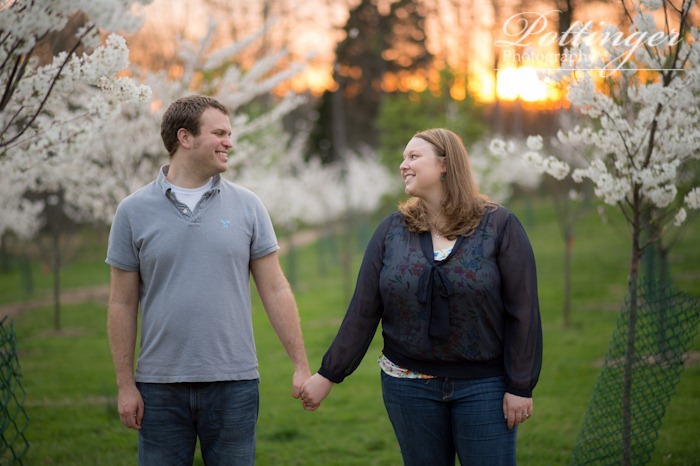 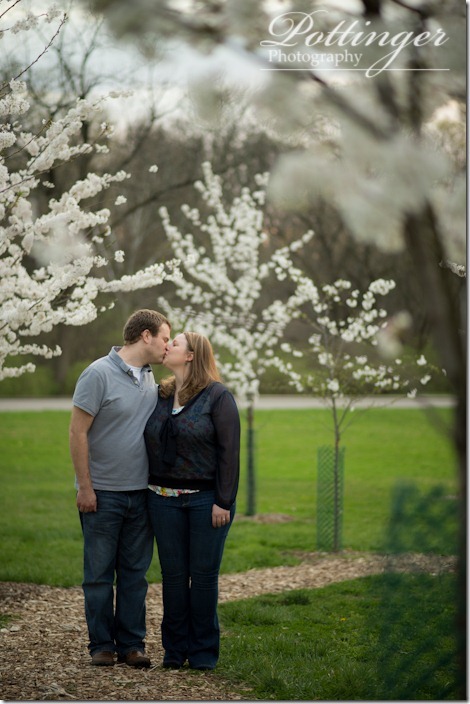 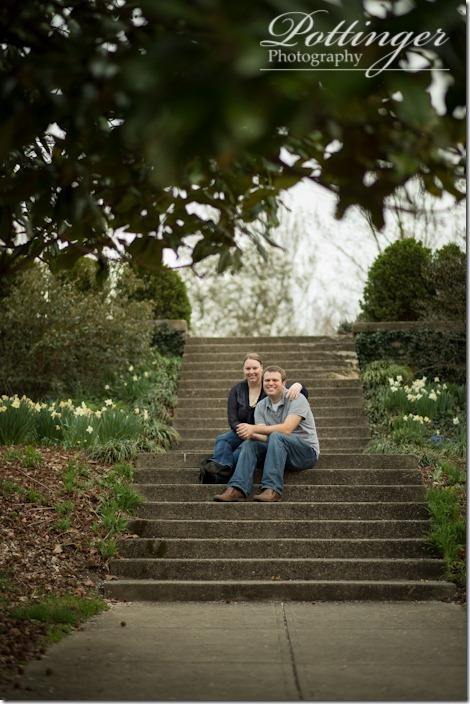 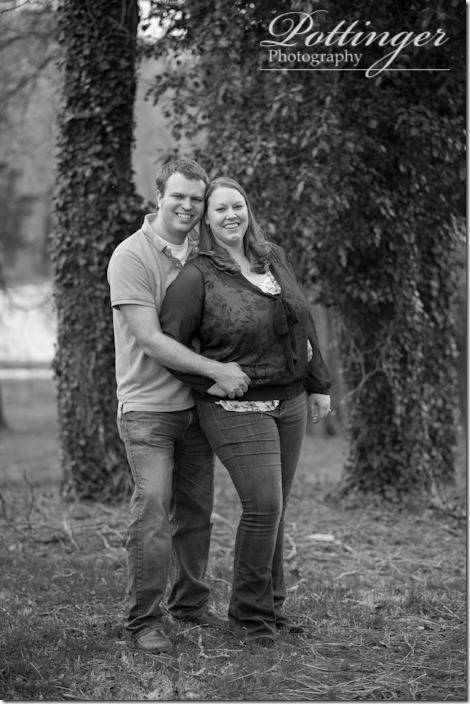 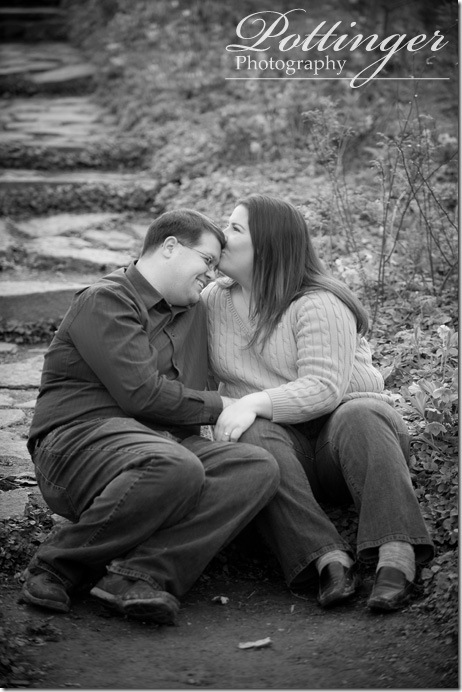 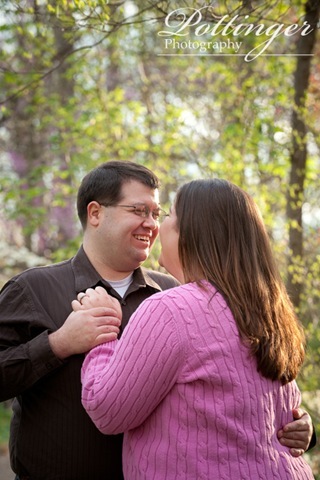 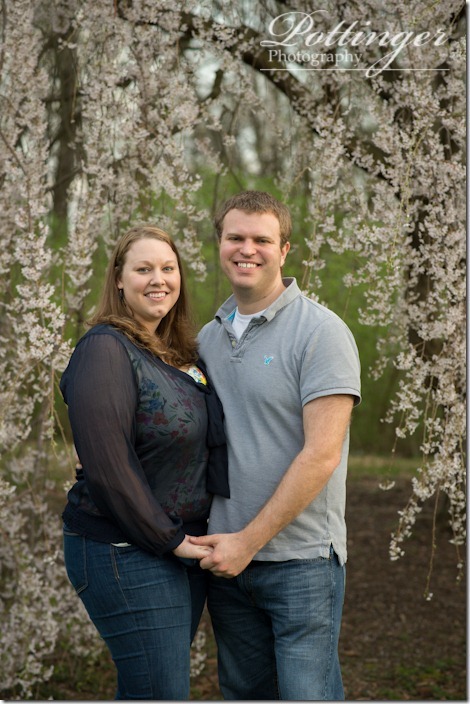 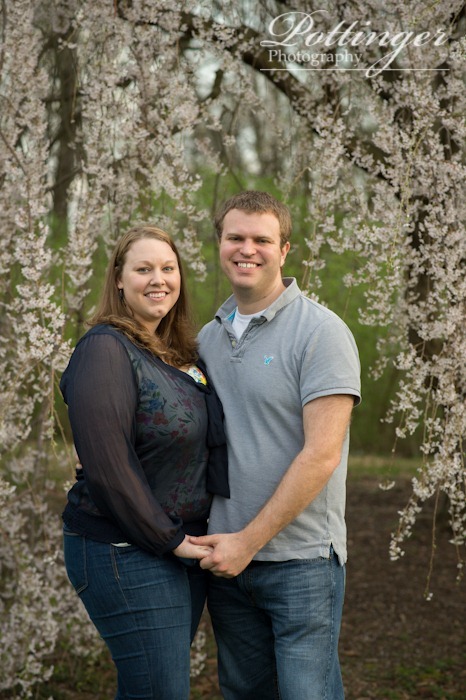 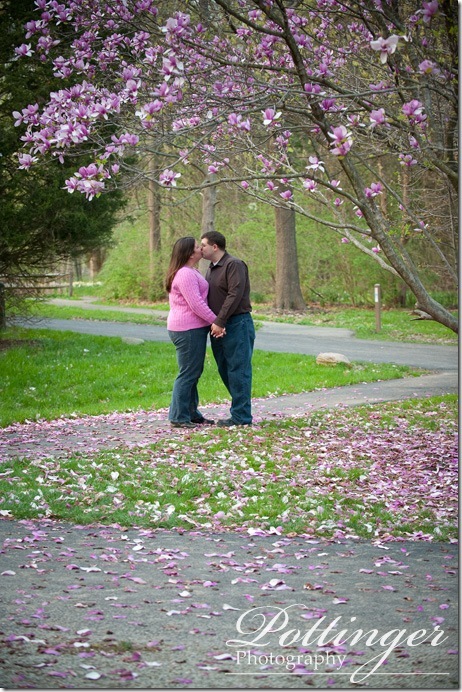 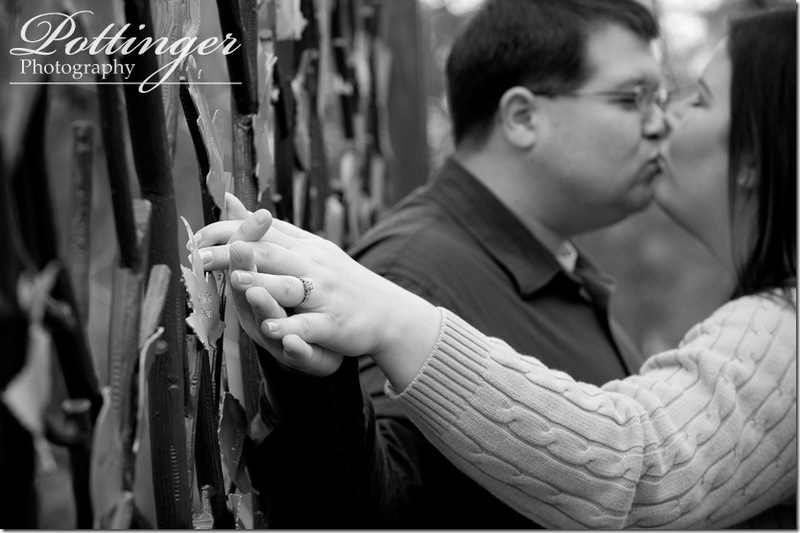 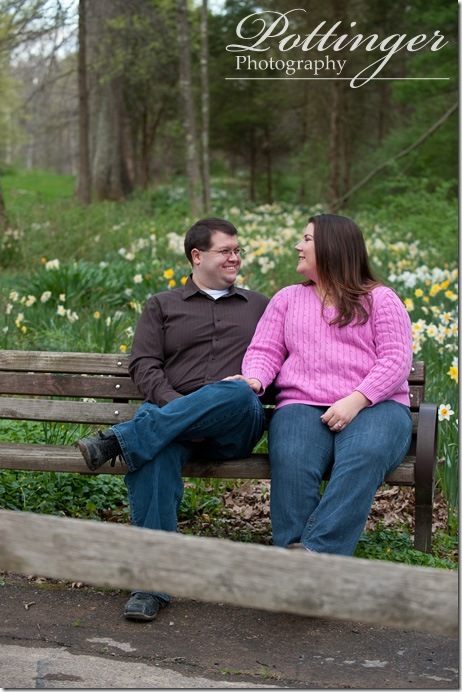 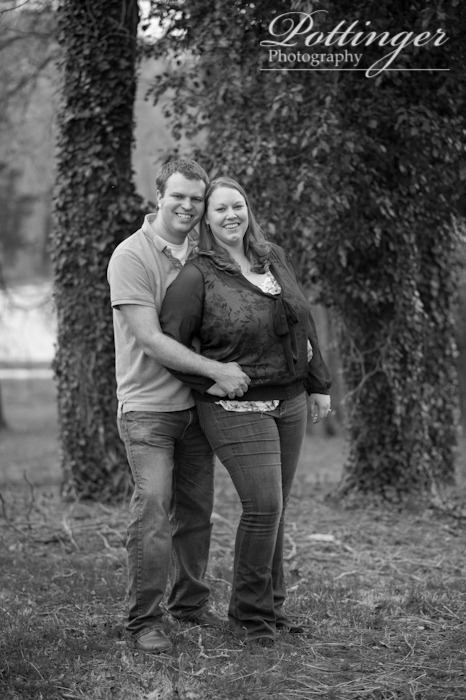 It’s time to book your spring engagement or portrait session. 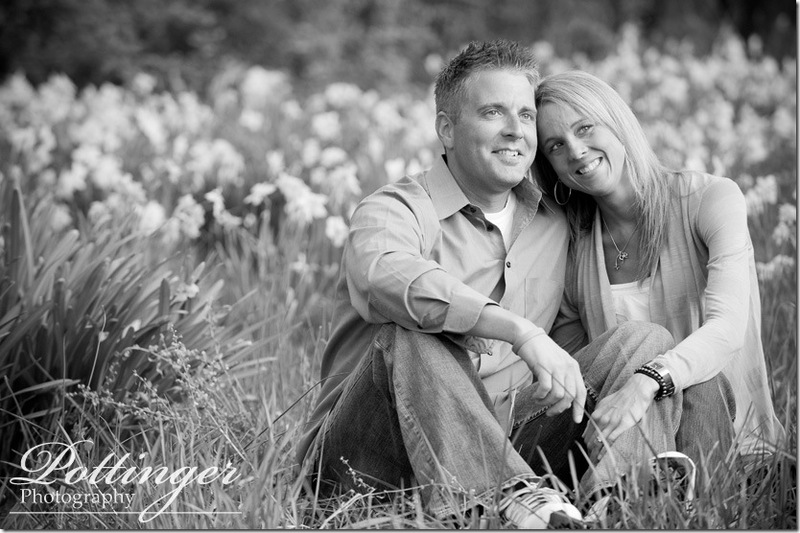 This is always a popular time, so be sure to schedule your session now. 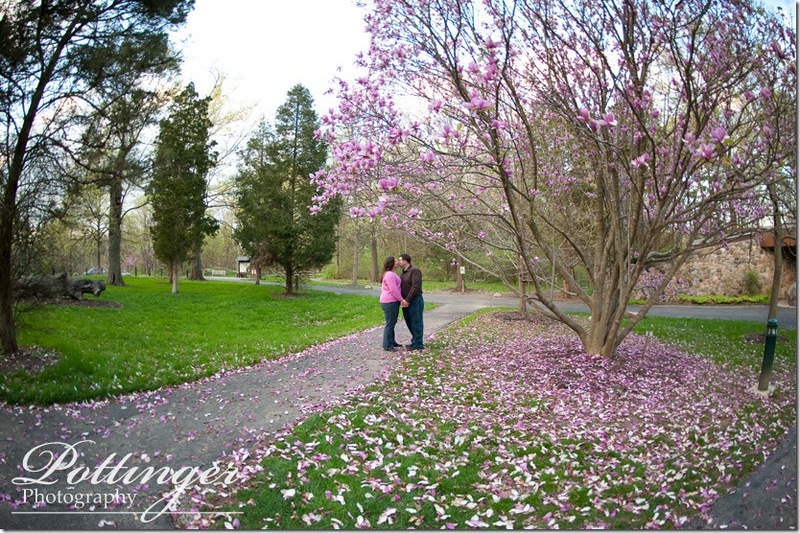 The flowers and new bright green tree leaves are so inspiring! 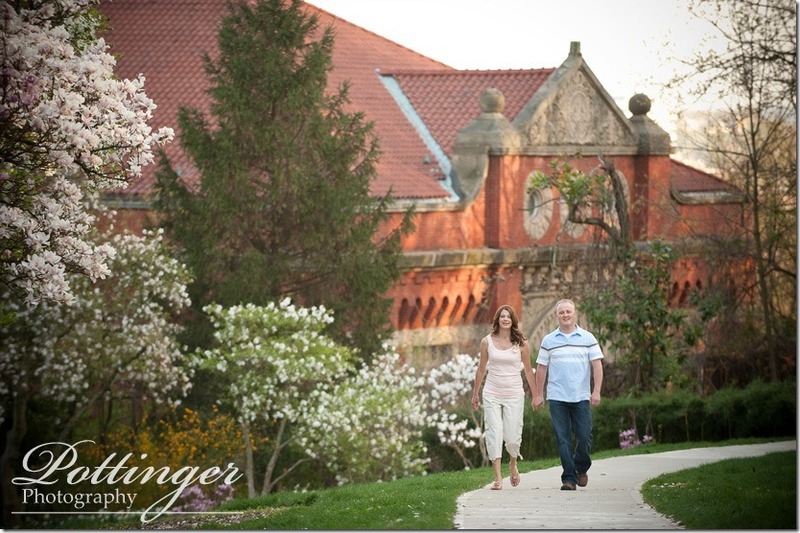 We have plenty of favorite places to recommend or you can share your personal favorite! 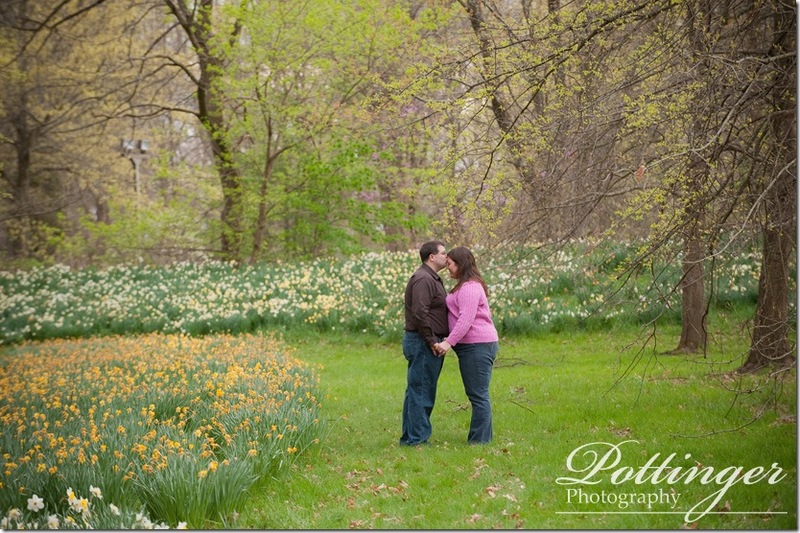 We already booking up very quickly for spring! 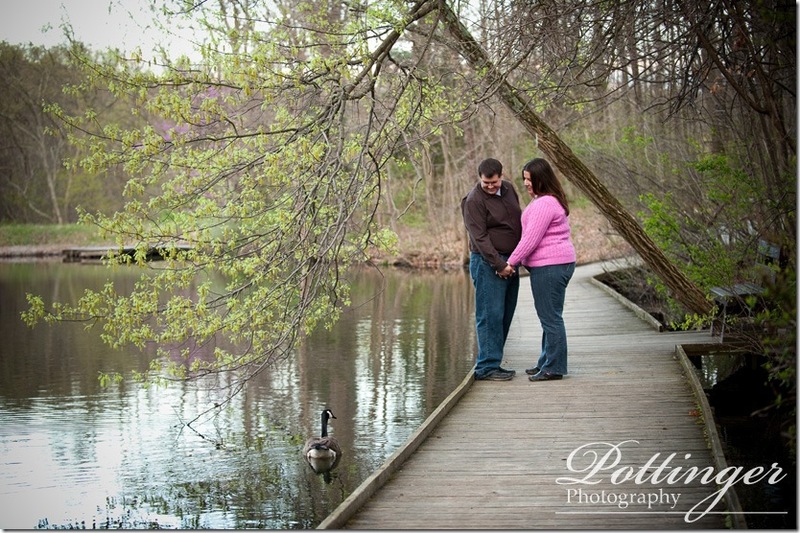 Kris and Andy are the kind of couple that I could just hang out with all day! Their personalities are so kind and funny. Andy had me cracking up most of the session. 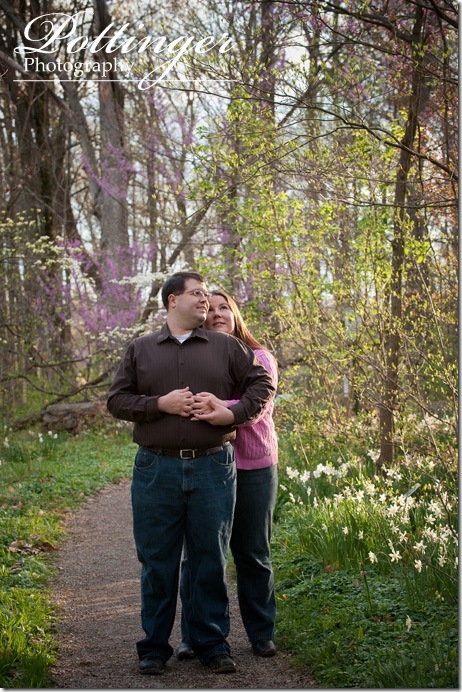 He even came up with a new pose – the Captain Morgan pose LOL! 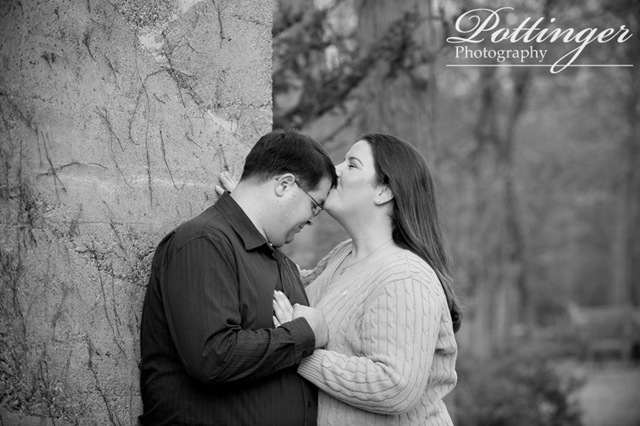 I love how you can see their personalities and passion for each other in their photos. 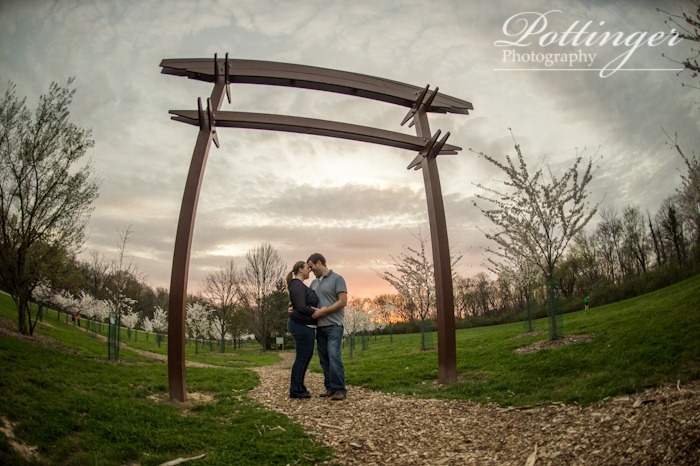 The Cincinnati Nature Center is a meaningful park to the two of them and it made for a beautiful location. 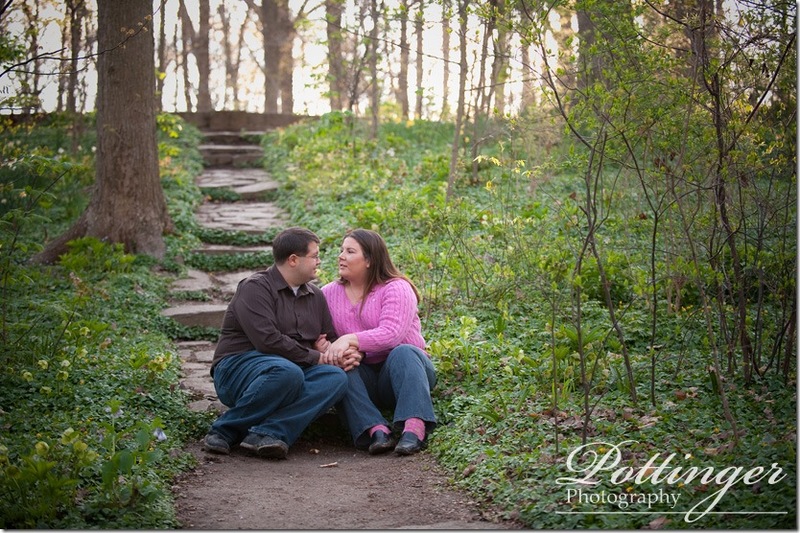 It was great to see the bright green baby leaves. 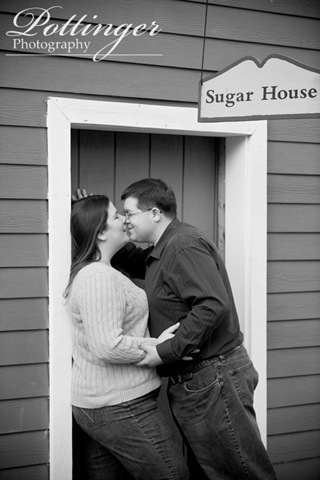 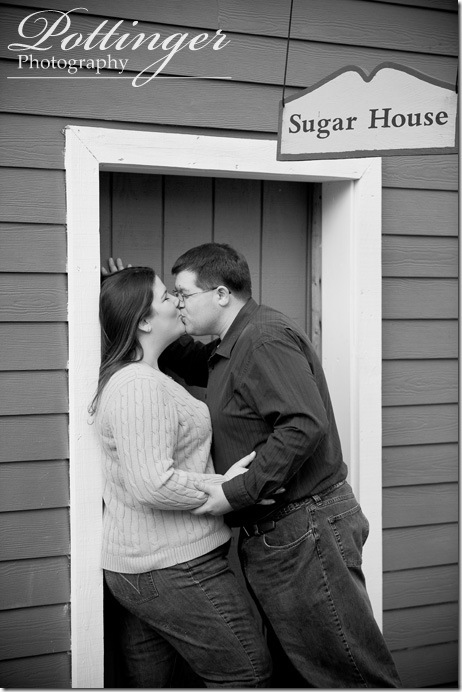 My favorite spots were in the woods and at the Sugar House – they had to kiss there! 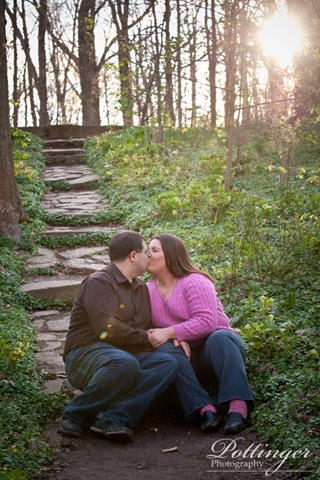 I can’t wait to photograph their June wedding. I can only imagine that Andy will be cracking me up that day too!